Barry, the Firm’s managing partner, has for the past 29 years, provided clients ranging from local individuals and families, to CEOs and substantial businesses, with intelligent, out-of-the-box, cost effective and practical solutions to the most complex of issues. His advocacy skills, both in and out of the courtroom and boardroom, have assisted numerous clients over the years to reshape their lives and businesses, often overcoming insurmountable situations. His unique understanding and compassion for those in need, or who are being taken advantage of, oftentimes alone provides Barry with the impetus and drive to lead the crusade for that client’s cause. 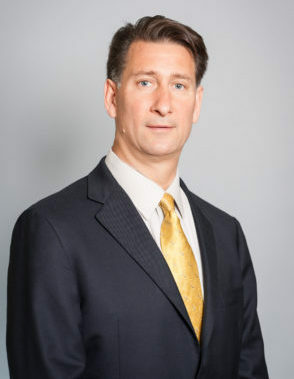 Barry’s unrelenting dedication to his client’s rights and goals has earned him a reputation as an aggressive, highly skilled attorney and negotiator who is always prepared to take on the most difficult of challenges frequently passed upon by others. Call him if you are looking for an attorney who will vigorously, thoughtfully and creatively protect or pursue your rights, and are concerned that you want someone who will not back away from complicated and intimidating circumstances on any level. “Counsel hired in profiling inquiry”, The Record, May 23, 2016, Section L, Front page.